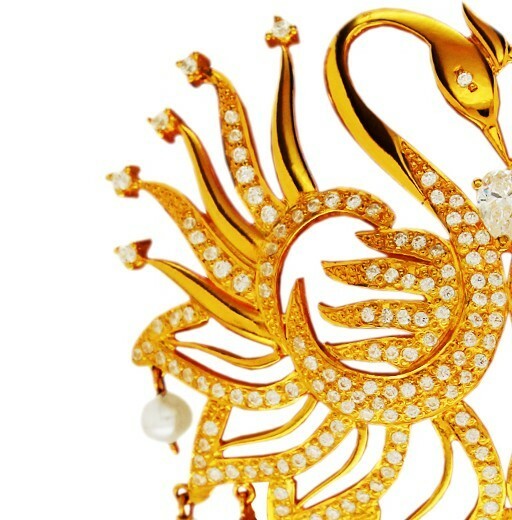 A stunning creation in 22 karat gold of Hansa Putta’s, a symbol of love and union, inlaid in white Swarovski. 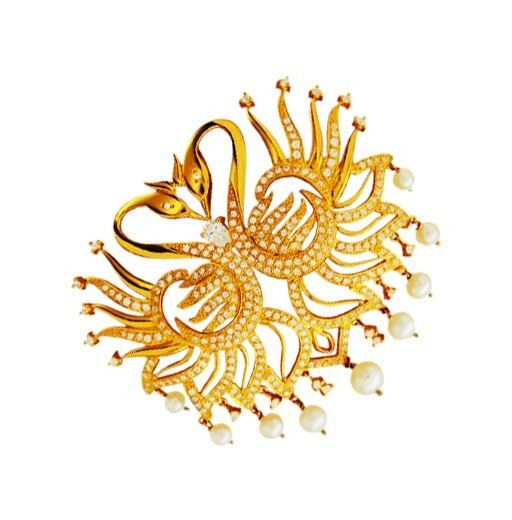 An exquisite design which seems to reflect the petals of a flower merged with the pair of swans. 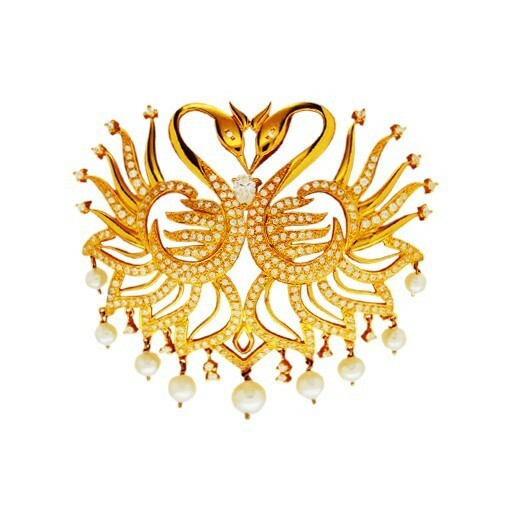 A decorative and elegant piece; a definite show stopper.